The Romanian-American Chamber of Commerce (RACCTM) in Miami, Smart Start USA, the Greater Miami Chamber of Commerce (GMCC) and Miami-Dade County Office of Economic Development & International Trade are hosting a special event featuring Romanian businesses from IT, logistics, real estate, manufacturing, textile and food industries. President Bill Clinton appointed Alfred Moses as his first ambassador to Romania (1994 – 1997), where Ambassador Moses played a key role in helping the country move from its Communist past to democracy and to establish a free economy. In his new book, Bucharest Diary: An American Ambassador’s Journey, Moses includes first-hand accounts of the diplomacy, both public and private, that helped Romania recover from four decades of Communist rule. As ambassador, he facilitated negotiations between Romania and neighboring Hungary and Ukraine that resulted in treaties resolving border and other disputes. As a result, Romania was invited to join NATO and the European Union, and currently has the fastest growing economy in Eastern Europe. For his efforts, Moses was awarded the Marc Cruce medal by the Romanian Government, the only American to receive this distinction. Moses is Chairman of UN Watch, past President of the American Jewish Committee, the author of several books, and also served as special counsel to President Carter (1980 – 1981) and special presidential envoy for the Cyprus conflict (1999 – 2001). 8% extra for credit cards payments 718-401-4006 business hours. 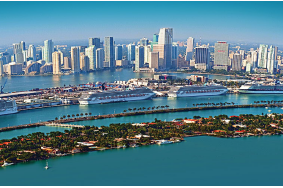 The Romanian-American Chamber of Commerce Florida cordially invites you to attend a networking reception to celebrate the opening of the new chapter in Florida and meet a delegation from Romania. Enjoy a selection of appetizers and great views of Miami Bay at the Bar on the 25th floor inside the Conrad Hotel Miami starting at 6 p.m. 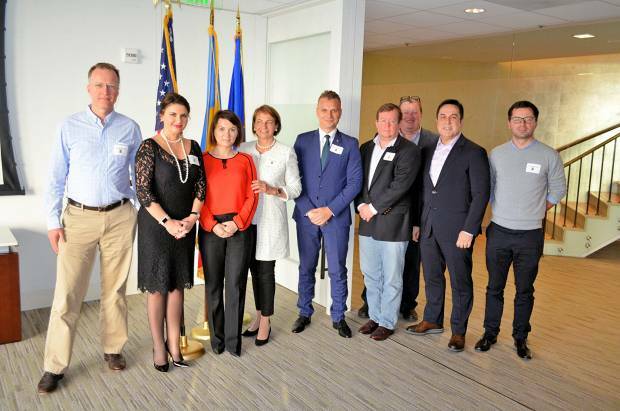 The Romanian-American Chamber of Commerce (RACCTM) in Miami, Smart Start USA, the Greater Miami Chamber of Commerce (GMCC) and Miami-Dade County Office of Economic Development & International Trade are hosting a special event featuring Romanian businesses from IT, cybersecurity, renewable energy, manufacturing and disaster-resistant construction industries. Please RSVP by November 27, 2018 at officemanager@malesculaw.com. 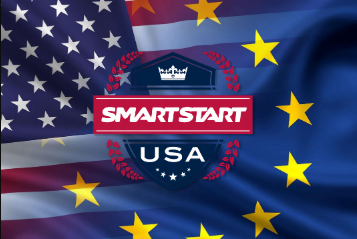 It is our distinct pleasure to announce you that we will be continuing in November, in the United States of America, our promotion tour with the aim of presenting Smart Start USA program and online platform. Smart Start USA is the only private program in Romania creating the first business ecosystem committed to helping the Romanian exports and the Romanian enterprises internationalization, with a special attention to the United States relevant markets. We invite you to participate on 27 November 2018, at 01:00 PM, at New York, to a live experiment in testing the American market – the conference held by “Smart Start USA - Efficient Financing Solutions for the Internationalization of Romanian Businesses” which will take place at the Romanian-American Chamber of Commerce premises, 125 Broad Str., 13th floor, NY City. The Romanian businesses representatives will have the occasion to enter into direct, first –hand discussions with American Administration local representatives and also with American businesses representatives and to discover development opportunities as well as the legal and economic particularities of the local market, which are largely unfamiliar to Romanian business environment. Below you can find the Conference main topics. The event is organized by Smart Start USA and The Romanian – American Chamber of Commerce in New York, with the special support of NY local authorities, The Romanian Chamber of Commerce and Industry, The Bucharest University of Economic Studies, together with the implementation partners: First Bank, Transilvania Bank, Romanian Commercial Bank, Mastercard, certSign, FRC (Romanian Counter-guarantee Fund), FNGCIMM (National Credit Guarantee Fund for SMEs). The program will have a significant contribution to the development of the Romanian – United States Strategic Partnership by offering development support to all Romanian export priority industries and will also bring its important assistance for the growing of the bilateral commercial relations in general. Smart Start USA is addressing the Romanian entrepreneurs willing to expand their businesses on different international markets, and very much along American markets. Through a number of over 1,000 banking braches belonging to the program implementation partners along Romania, more than 10,000 companies, annually, will take the benefit of direct access to financing programs, know how and entrepreneurial education. 1. Navigating legislative and regulatory issues within cities, states, and federal governments in the US Jan Fuerestadt and Kritian Stiles, both Managing Directors at Mercury, LLC, a global public strategy firm. "Mercury, LLC is a high-stakes public strategy firm. We provide results for the world’s most successful companies, leading advocacy groups, governments, political parties, NGOs, and prominent public and political figures.” – 20 Offices, 150 Experts, 300 Clients. 8. Maximizing Entry into the US – partners, top down/bottom up, and government relations. To attend this event, please follow http://smartstartusa.net/evenimente platform (free registration platform). 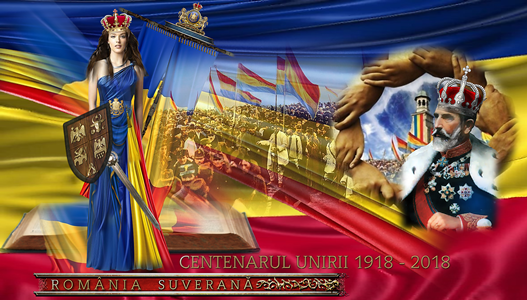 A Celebration of the Romanian Centennial of the Great Union. Together with other Romanian organizations from New York a celebration event in the honor of the Romanian Centennial will take place at 3 West Club in New York. Minimum Volunteer contributions is appreciated This event will partially be in the Romanian language. It’s that time of the year again! The European American Chambers of Commerce (EACC) Fall Networking Boat Cruise is coming up on September 27th. Join us and 350 professionals from all across Europe for this breathtaking networking sunset cruise on the Hudson River. Get your tickets now for this prime networking opportunity and enjoy buffet dinner, an open bar and spectacular views while mingling with international executives. When: Thursday, September 27, 2017	6PM–9PM. The visitors will take this opportunity to feature the Romanian Textile, Garments and Leather Goods Industry and are interested to locate US partners and to discuss business opportunities related to this Romanian Industry. Please find attached the list of attending companies. Field	MVP	Suite,	100	level	concourse,	behind	section	119, entering	through	gates	4	or	6. We	are	exited	to	announce	this event	in	connection	with the derby	game between	the	NYCFC	the	NY	Red	Bulls	on	August	22nd. We	are	inviting	you	to	join	us	at	this	exclusive	networking	event	in	the	Field	MVP	Suite,	after	which	attendees	will	have	seats	available	for	the	NYCFC	vs	NY	Red	Bulls	game. Bring	your	family	and	friends. Bring	your	customers. But	most	important	come,	lets	meet	at	the	Stadium. 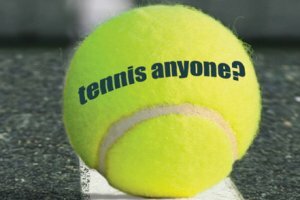 When: Wednesday,	August	22nd from	5:30	– 9:00	PM	(networking	starts	at	5:30	PM	- game	starts	at	7:00	PM). Where: Yankee	Stadium, Field	MVP	Suite,	100	level	concourse,	behind	section	119, entering	through	gates	4	or	6. 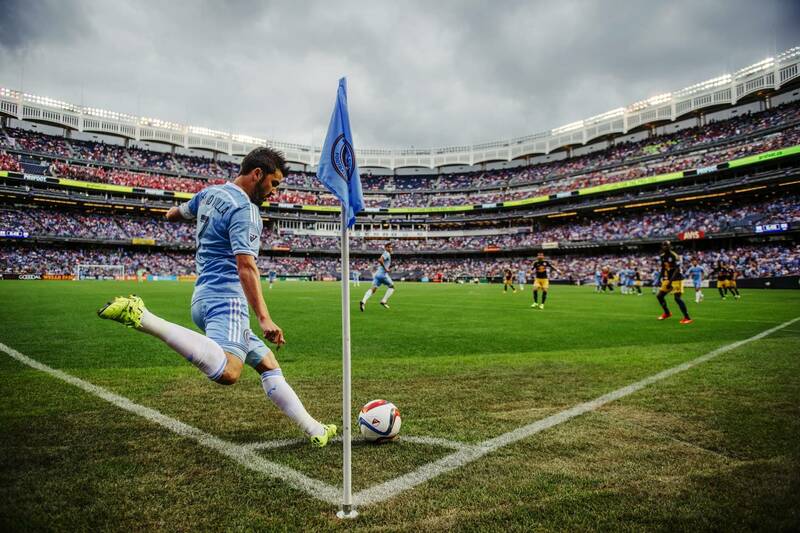 Cost: $35.00	(Make	sure	to	apply Promo	Code	“NYCFC10” on	the	“Promotional	Partner	Rate”	to	receive	the	$35	ticket) Included	in	Ticket	Cost: Networking	event,	light	bites,	1	complimentary	drink	ticket,	Manhattan	Jersey	Patch	and	ticket	to	the	game. Space is limited, RSVP is required. 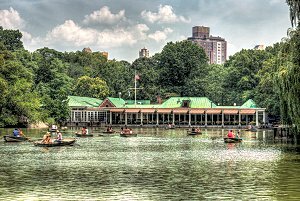 Please join us for an evening with excellent networking opportunities among the 400 international business professionals in a unique and traditional New York City venue - the Central Park Boathouse. Enjoy good wine, beer, a delicious buffet and a wonderful atmosphere. At the Offices of Herzfeld and Rubin, P.C. They are here to explore Urban Regeneration, Public-Private Partnerships, Attracting Foreign Investment, Exploring Import-Export Potentials, Public Transportation, Waste Collection and Recycling, Infrastructure. This event is in English but partial translation from Romanian may be required. Volunteer contribution of $5.00 for paid member and $10.00++ for guests applicable for light refreshments and local wines. RSVP in advance is mandatory, seats are limited. No walk in’s. Cyber Security: Threats	Affecting Businesses, Government and Non-Profits. The one hour panel discussion presentation will start at 6.30PM. The panel discussion will be followed by Q&A’s from the audience. Networking with about 100 other members and dignitaries will follow. Dr. Alina Mastan MD and experienced physical therapist Gina Heredea will guide us how to built healty habits, eat better and make the most of our time. A well known attorney in the Romanian circles, Catalin Dancu made his reputation by successfully representing people like Dinu Patriciu, George Becali, Dumitru Sechelariu, Sorin Rosca Stanescu, General Mihai Pacepa. His expertise is investment law, penal law, fiscal and commercial law. His team from the Consulate will also be present to respond and to promote open dialogue with the Consulate. Volunteer contribution of $20.00 is encouraged. RSVP required with Full name, Company affiliation, Job Position raccnyc@gmail.com. Minister Laufer is the former owner of a large retail group that includes cosmetics chain, clothing stores and real estate proprieties. Minister Laufer is lauded for bringing the Swedish fashion chain H&M to Romania. • Other recognized affiliated Romanian American organized groups. The event will provide everyone with the opportunity to network, build new or strengthen relationships and have a great time. The delegates from Romania have specific interest and are interested to meet you. Needs to contact contractors active in the following sectors: selective pick up of waste, sofware development of web apps, mobile apps, desktop apps and sofware development for embedded devices. Requiers contacts with companies in the sector of construction equipment (ex. Caterpillar), real estate agents/developers, transportation of goods, as well as companies in the civilian, industrial construction and transportation. Needs contacts with companies in the water, sewage and public transportation. 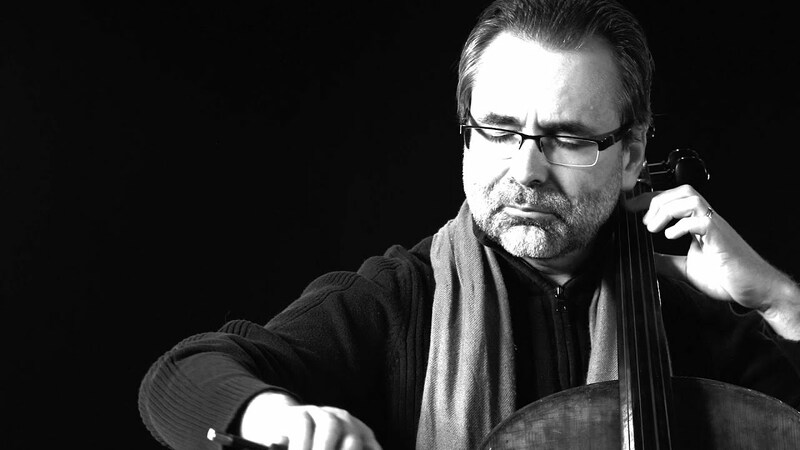 The internationally-acclaimed Romanian Cellist Ovidiu Marinescu opens the season of the Southeastern Pennsylvania Symphony Orchestra with the virtuosic and lyrically tranquil Cello Concerto by Dvořák. 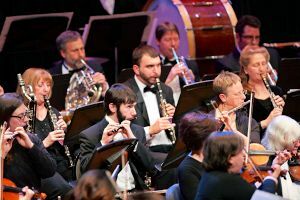 The concert culminates with Shostakovich’s bold and brassy portrayal of the 1917 Russian Revolution, his epic Symphony No. 12, complete with revolutionary songs, battle music, and funeral marches. For more information or to purchase tickets, please visit: https://www.spso.info/2017/09/18/opening-night/. Each Fall, over 350 members of the European-America Chamber of Commerce in New York are whisked away by the waves of the Hudson to gather for a delightful evening of exclusive networking with top international executives, colleagues and friends. Join us aboard The Hudson World Yacht for an evening of the finest cuisine, cocktails, and conversation while gazing at the breathtaking views of the Manhattan Skyline. Unfortunately, cancellations cannot be refunded for this event. Thank you for your understanding. This event is hosted by the European-American Chamber of Commerce in the United States, Inc. including the European bi-national chambers of Austria, Belgium, Britain, Finland, France, Germany, Greece, Ireland, Italy, Luxembourg, Portugal, Romania, Spain, Sweden and Switzerland. Sandra Pralong, adviser to the President of Romania President Klaus Iohannis, former adviser to President Emil Constantinescu, former Dean of the School for Communication, Professor, Author, listed in the Who's Who of American Woman and Who's Who in the World. This event is free to all members. RSVP is required by the building security. You will not be allowed to enter unless your name is listed. Walk in will not be permitted. Meeting will start on time, as scheduled. No large bags/backpacks, weapons or electronic equipment will be permitted inside except for mobile phones. June 29, 2017 marked the opening of the Romanian American Chamber of Commerce San Francisco Chapter. Among the guests attending were Cosmin Dumitrescu, the Consul General of Romania in Los Angeles, Mark Chandler from the San Francisco Mayor's Office of International Trade and Commerce, Dana Beldiman, the Honorary Consul General of Romania in San Francisco, and Simona Steriu, Economic Consul for the Consulate General of Romania in LA. The President of the Chapter is Mr. George Roth. Interesting presentations were made by Bit Defender, PayMoApp and Aqua Carpatica. EU-US TRADE: HOW HAS IT FARED IN THE FIRST 100 DAYS? Ambassador O'Sullivan will share his insights on the status of the economic and trade relations between the European Union and the United States since the start of the Trump Administration. The Romanian-American Chamber of Commerce - Greater Philadelphia Chapter cordially invites you to join our local members to a non-sponsored Holiday Networking event. RSVP is required. For additional information, please contact Ramona Adelina Bejan, President of the Philadelphia Chapter at rbejan@racc.ro. The RACC’s Executive Committee is pleased to offer you the opportunity to nominate a candidate for the RACC’s 2016 award recognizing persons for their special contributions to the enhancement of Romanian-American trade, investment or business. The Award will be presented at the RACC Gala Dinner and Awards Night at Harvard Club of NYC on Saturday, December 17th, 2016. With special guest of honor Dr. Vasile Dancu, Vice Prime Minister Of Romania, in the presence of Romania’s Ambassadors to the United States and the United Nations, the Consul General in New York, and the Head of the Office of Economic Affairs of the Consulate in New York. The cost of the ticket represents the actual per person cost of the event to the RACC. Seats are strictly limited. 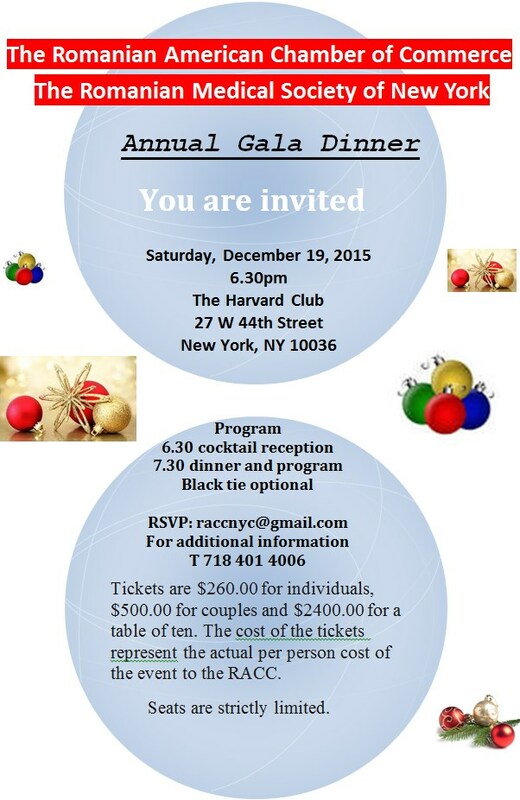 Come meet old friends and make new ones and learn more about RACCNY. 1. Mark your calendar Dec. 17 the end of the year black tie party. Invitations to come soon. 2. Watch WNYE TV 25 Sundays at 12.30PM for the Romanian language program, the RACC is an advertiser and sponsor of the program. 3. 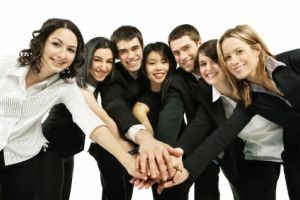 Join our group https://www.linkedin.com/groups/6522438 Be up-to-date with our events and activities. 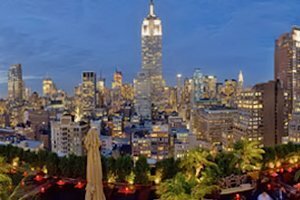 The European-American Chambers of Commerce in New York and Romanian American Chamber of Commerce gather their members for a dynamic evening exclusive networking and classy views. More than 350 international professionals are expected to come together for a fantastic evening on the Hudson. 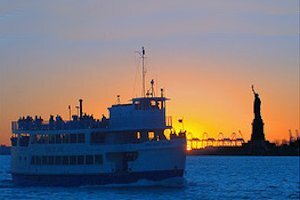 Join us at this Manhattan boat cruise for dinner buffet, an open bar, and mingling with international executives! - real estate, residential apartments. Rental Yield is quite good in Romania. - buying of Non-Performing loans from Romanian banks, for a very large haircut. - stock exchange, there are opportunities. Currently Dan is a board member in SIF- Banat, the second largest asset management company in Romania and the Chairman of Conpet (oil pipelines), the no 15-16 stock exchange company in terms of capitalization. I am also an M&A and restructuring advisor for Romanian companies. Prior to becoming an independent advisor in 2013 I was for 4 years Executive Director for Corporate Finance and Investment Banking BCR, the largest Bank in Romania. FEE: free, but a $12.00 amount is encouraged. We have waited long enough - spring time is finally here and with that our famous annual EACC/RACC Spring Networking Event. 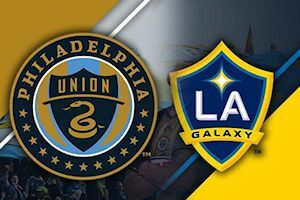 Join members of the Romanian-American Chamber of Commerce of Greater Philadelphia at PPL Park for a community soccer event as the Philadelphia Union takes on the LA Galaxy. This event is open to the larger community. Please feel free to invite family and friends. 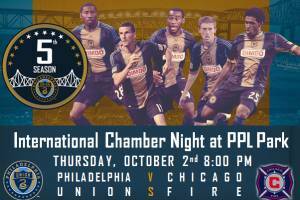 To reserve your seats, please email Kevin Ahern at Kahern@philadelphiaunion.com or call 610-497-6152 and mention ‘RACC Event’ for group seating. Ion Jinga is a Romanian diplomat working in the Romanian Ministry of Foreign Affairs since 1992. Between 2003 and 2008 he served as the Romanian Ambassador to the Kingdom of Belgium and between 2008 and 2015 he held the position of Ambassador of Romania to the United Kingdom of Great Britain and Northern Ireland. On August 4, 2015, he was appointed Ambassador Extraordinary and Plenipotentiary, Permanent Representative of Romania to the United Nations in New York. Ambassador Jinga speaks English and French, in addition to his Romanian native language. He authored and co-authored five books and over 30 articles on European Integration topics. He received the title "Ambassador of the Year 2007 in Belgium”. In 2012, he received the title “Diplomat of the Year from Europe” by Diplomat Magazine in London, and was awarded the title “Diplomat of the Year 2012”, by the Minister of Foreign Affairs of Romania on the occasion of celebrating 150 years of Romanian diplomacy. He is a member of The Incorporation of Wrights in Glasgow (the oldest Guild in the UK with a Charter granted by King Malcolm III in 1057) and of The Guild of Freemen of the City of London. LANGUAGE: This presentation will be in English. RSVP is required, the doorman will have your name on the list.. The power point presentation will address Licensing, M&A through strategic partnership, Global Manufacturing/Sourcing Services, Target markets/Core client Base. 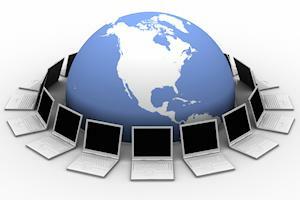 The new global economy provides as many opportunities as it does challenges for clients. Understanding cultural implications, quantifying regional demand, identifying competitors, creating a long-distance infrastructure or finding a local partner; understanding issues such as quota, tariff, currency exchange and overseas financing, those issues will be addressed. As countries become more stable and wealthier, financial assets increase and the capital markets and the stock exchange play an increasing role in the economy. The power point presentation will discuss clearinghouses, depositories, inter dealer brokers, rating agencies. With clients like JP Morgan Chase, UBS, AXA, Banco de Brasil, TMX (Canadian exchange) London stock Exchange, NASDAQ, CBM Group is well suited to facilitate prosperous transactions the Romania/USA space. 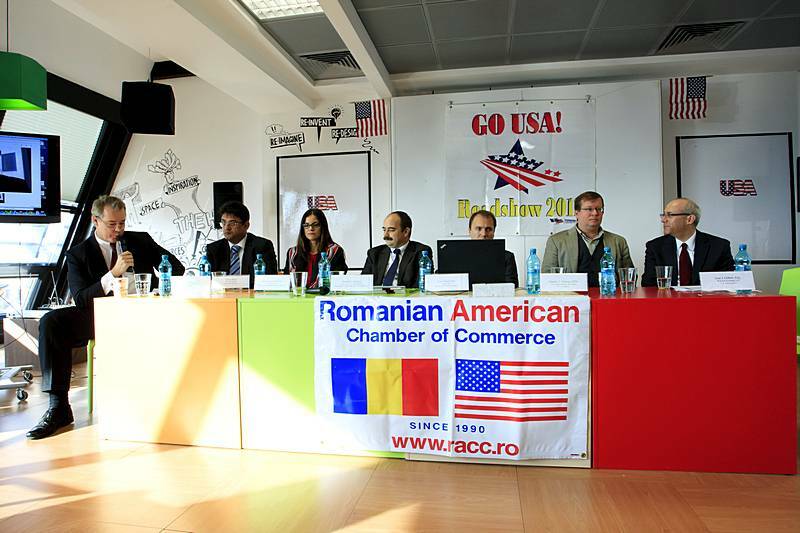 Volunteer contribution of $10.00 minimum to be made payable to the Romanian American Chamber of Commerce. Ticket is $260/person. To register please email to raccnyc@gmail.com. $9 Member, $11 Student & Senior. Making Waves returns for its 10th edition featuring a cross section of narrative features, documentaries, and shorts. Titles fresh from Cannes and Berlin lead the slate of features: Corneliu Porumboiu’s fairy tale The Treasure; Romania’s unorthodox answer to 12 Years a Slave, Radu Jude’s Aferim! ; Radu Muntean’s subtle morality play, One Floor Below; and Why Me?, the Sidney Lumet–esque political thriller by Tudor Giurgiu, based on tragic true events. Another highlight will be a special tribute screening of Cristi Puiu’s The Death of Mr. Lazarescu (2005), commemorating the 10th anniversary of Making Waves. A seminal title of the Romanian New Wave, this dark comedy was presented at the first edition back in 2006 and took American critics by storm, helping to establish Romania as a major player in the contemporary landscape of international art cinema. The series will also feature panels, special guests, and a continuation of the Creative Freedom Through Cinema program, examining the relationship between art and politics in Eastern Europe and spotlighting work from Georgia and the Republic of Moldova. The raw survival documentary Toto and His Sisters (Alexander Nanau), a selection of short films (including the newest from Puiu and Ramona, the noir revenge tale that won a prize in Cannes), and a tribute to one of the greatest Romanian filmmakers, Mircea Daneliuc—whose work inspired the Romanian New Wave—complete this exciting lineup. Making Waves is co-presented with the Romanian Film Initiative, with the support of the Trust of Mutual Understanding, LARK Play Development Center, the Romanian National Center of Cinema, the Filmmakers Union of Romania, and many individual supporters. The RACC - Greater Philadelphia Chapter invites you to join the local members to our non-sponsored networking event on October 8th, 2015. The Romanian and international professionals in the Greater Philadelphia area are expected to come together for this enjoyable evening to mingle at Rittenhouse Square. Space is limited, RSVP is required. To register, please use the online registration or fill out the RSVP form. If you have any questions, please contact Anika Austin at events@gaccny.com or (212) 974-8841. 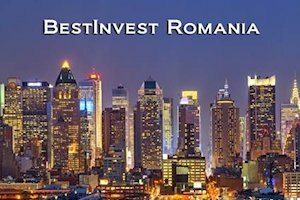 The most promising 2015 event outside Europe‘s borders: "BestInvest Romania"
- the largest Investment Forum in Romania‘s history held in New York City. Romania is a robust and diligent country embarking on an age of renewed growth, increased stability and impressive credibility. Mindful of constant challenges and difficulties, it has now launched heartily into restructuring its economy and making strides across the board. It is this kind of commitment that will secure her role as a key EU player and an exceptional NATO partner for generations to come. A lot of progress has been achieved, but there are still significant challenges ahead. Developments in Romania have far reaching implications for the European Union, the United States and the global economy. At this year's "BestInvest Romania", a delegation of government officials, public and private sector CEOs and executives from global investment banks will discuss the developments and reforms in the Romanian economy. Also, the latest trends in the capital and stock markets with topics such as banking and finance, private equity and investing, energy, oil and gas exploration, healthcare, infrastructure development, defense, telecommunications, real estate and transportation will be addressed. This Forum will provide the audience with a unique blend of informational, marketing and networking opportunities. This December marks the 20 year milestone of the Romanian-American Chamber of Commerce commitment to raising awareness about Romania as an investment destination to a wider financier universe. Please join us for a historical event as we look thrillingly to the next twenty years of unprecedented opportunities, growth and achievements in Central Eastern Europe‘s most trebling economy. Attendance Fees: $25 This event is for young professionals (those with less than 15 years professional experience). After-party will have a cash bar. The title of General Mayor is used to distinguish the office from the sectorial mayors that lead each of Bucharest’s six administrative sectors. Sorin Oprescu was elected in June 2008 and re-elected in 2012. He is independent of political party affiliations. ** The vision of the city for a future as a business destination and as a tourism destination. ** Redefining the urban identity of downtown Bucharest, by the recovery of public spaces and urban regeneration of run down neighborhoods. This is expected to make Bucharest more attractive to tourism and residence and will develop new business initiatives. ** Improve quality of life by ensuring public services like health, education, transportation. Space is limited, for security reasons registration, is mandatory. No one will be allowed in the building without being listed on the advance registration list. To register, please contact Elias Wexler at	ewexler@racc.ro or Maria Valenti at (212) 471-3141. "The Future of Transatlantic Business"
** Prospects for growth and investment in the Eurozone. There will be a meeting ahead of the reception for the Chamber Heads to greet the Ambassador. 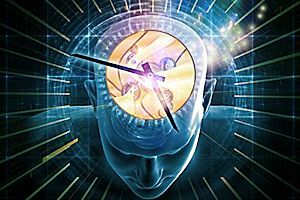 Chamber Heads should plan to arrive at 5:00pm. To register, please contact Maria Valenti at (212) 471-3141. The Sixteenth Edition of the Romania Day Festival® will be dedicated in its entirety to the County of Prahova, one of the most prolific and amazingly beautiful regions of the country. Blessed with a breathtaking scenery of the Carpathian Alps, a vast world-class winemaking province, some of the oldest and most celebrated oil drilling regions known to man and a booming industrial growth, the Prahova County is in the top three most attractive and productive Romanian regions. On Sunday, May 10th, Lower Broadway will feature unique presentations of Romanian history, culture, values and traditions from the Prahova County. Held between Liberty Street and Battery Park/Bowling Green Plaza, the Romania Day Festival will host artists, dancers, musicians and craftsmen from Ploiesti, Campina, Sinaia, Busteni, Valenii de Munte and beyond. Leaders from the Prahova County Council, the Prefecture, mayors and several community front-runners will join us together with representatives from the North-American Diaspora to celebrate our unique and very special values. High-ranking American officials, including Congressional representatives, politicians, diplomats and community leaders will be on hand to share in the celebration. 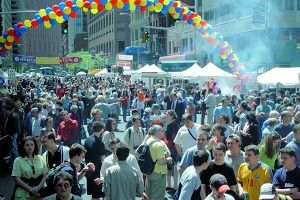 Over 25,000 people are expected to visit the stands and spend the day in an original Romanian setting, in the heart of New York City. I am pleased to join the Romanian American Chamber of Commerce in welcoming everyone to the XVI Edition of the Romania Day Festival on Broadway. New Yorkers are rightly proud of their rich ancestries. With residents who hail from every corner of the map and speak an estimated 200 languages, our City is a dynamic global hub. Today, as New Yorkers from all backgrounds and walks of life gather in Bowling Green Plaza to enjoy Romania's singular cultural traditions, let us also recognize the indelible mark that the Romanian diaspora has left on every sector of life, both throughout the five boroughs and across the nation. Whether enjoying folkloric dance performances, musical recitals, fashion shows or regional cuisine, thousands of revelers are in for a treat, and I applaud the Romanian American Chamber of Commerce for its efforts to unite and uplift the Romanian community and foster cross-cultural exchange. 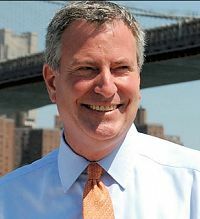 On behalf of the City of New York, please accept my best wishes for a terrific event and continued success. Please join Margo K. Ceresney, Esq., of Herzfeld & Rubin, P.C., for an informative discussion: WHAT EVERY PERSON NEEDS TO KNOW ABOUT LONG TERM CARE PLANNING. The cost of long term care in New York has made planning a critically important issue for many aging individuals and their families. While some are able to afford private pay care, the cost of long term care will wipe out savings of all but the wealthiest families in a matter of years. Many have worked hard and translated their earning power into financial security for themselves and their loved ones. Without proper planning, however, declining health could rob you and your families of your financial independence. Therefore, it is vital to know your options for long term care and to plan ahead. Sunday, March 1, 2015, 3:00 p.m.
RACC Event: Immigration – Changes in Law! Free to members. $7.00 to guests. * Illegal immigrants are no longer required to leave the United States before they can ask the government to wave its ban which typically lasts 3-10 years from legally re-entering the United States. * Change in DACA (deferred action for childhood arrivals) – for those that entered the USA prior to 16th birthday or under the age of 31 prior to June 15, 2012 including allowing permanent residents to request deferred action and employment authorization for three years. * Modernizing, improving and clarifying immigrant and nonimmigrant visa programs. The presentation is about changes in immigration laws with new opportunities. Q & A will follow the presentation. Fee: Free to members. $7.00 to guests. Ticket is $250/person. To register please email to raccnyc@gmail.com. Romanian-American Chamber of Commerce (RACCTM) launches a series of talk-shows on Romanian Television featuring the RACC Ambassadorial Advisory Board comprised of the prior US Ambassadors to Romania and the Romanian Ambassadors to the USA and UN on Saturday, December 20th, 2014 at 3:30PM EST. Former US Ambassadors to Romania Hon. Mark Gitenstein and Hon. Alfred Moses will share their insights of Romania's 25 years of progress live at Digi24 Romanian TV Channel. Attendance is free! To register please email to ramonabejan@yahoo.com. Romanian-American Chamber of Commerce (RACCTM) launches the networking & debate series – “How to add value from abroad to the development of Romania” in New York City on Friday, November 21st, 2014 at 11AM EST. The RACCTM invites you to join the local members to our non-sponsored roundtable discussion on Friday, November 21st, 2014. The event will be a great opportunity for you to explore and expand your network. Attendance is free! To register please email ramonabejan@yahoo.com. See you on November 21th! Advanced Registration is required. Seats are limited to first 5 submitted. RSVP to Ramona Bejan via ramonabejan@yahoo.com. BRIEF: A discussion with CT businesses, policy experts, and U.S. government and Eastern European officials on opportunities to strengthen economic ties between the United States and Eastern and South Eastern Europe. 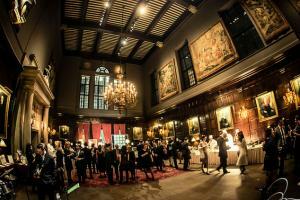 The European-American Chambers of Commerce in New York gather their members for its annual exclusive networking event. More than 350 international professionals are expected to come together for this fantastic evening to mingle and enjoy the iconic views of Manhattan along with an open bar and dinner style buffet. At a buffet lunch hosted at The Leopard at Des Artistes, the Ambassador will address the Young Professionals of the EACC in a conversation about the future of the young generation in the European Union. We hope you will join us for this fantastic opportunity to speak directly with Ambassador Vale de Almeida. Prior to his appointment as Ambassador to the United States of America, Ambassador Buga served as Ambassador of Romania to Ireland (2009-2013) and to the Kingdom of the Netherlands (2001-2007). In the former capacity, he also served as Permanent Representative of Romania to the Organization for the Prohibition of Chemical Weapons. Throughout his more than 22-year diplomatic career, Ambassador Buga has served in various positions within the Ministry of Foreign Affairs and in the Romanian External Foreign Service, namely, as Deputy Minister, Director for North America and Strategic Affairs Division, Consul General of Romania to Los Angeles, California, as well as a diplomat at the Embassy of Romania in Washington DC, from 1994 to 1997. 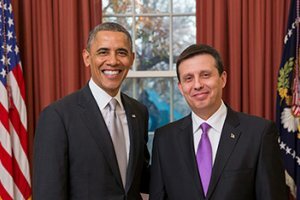 Iulian Buga was appointed Ambassador Extraordinary and Plenipotentiary of Romania to the United States of America by President Traian Băsescu, on October 16, 2013. Building security requires pre-registration. RSVP to raccnyc@gmail.com. The speakers will discuss the current geo-politics of the Black Sea, the regional impact of the crisis in Ukraine, Russia’s annexation of Crimea and the bilateral relations between his country (a NATO and EU member) and the United States. Dr. Emil Constantinescu is a geologist/mineralogist by training and had a prestigious career in higher education and scientific research, publishing 12 books. He began his political career in 1989 as a civil society activist and was elected president of the Romanian Democratic Convention (CDR), an alliance of civil society organizations, in 1991. In 1996 Dr. Constantinescu, on behalf of CDR signed the “Contract with Romania” and shortly afterwards he became the second elected president of Romania. President Constantinescu oversaw Romania’s large scale process of economic and political reform and launched EU accession negotiations. Upon the end of his presidential term (December 2000), Emil Constantinescu resumed his academic career. Gen. Constantine Degeratu holds a doctoral degree in Military Science (1996) from The National Defense University, Bucharest, Romania. Gen. Constantin Degeratu has an impressive military career reflected by several senior positions held within the country’s Armed Forces including Chief of the General Defense Staff (1997- 2000). Gen. Degeratu is also a prolific writer and has written many books on the topic of global and European security. The speakers will discuss the current geo-politics of the Black Sea, the regional impact of the crisis in Ukraine, Russia’s annexation of Crimea and the bilateral relations between his country (a NATO and EU member) and the United States. Join the BABC and other European Business organizations for a high level round table discussion about the Transatlantic Trade & Investment Partnership (TTIP). This seminar will provide a general overview of this groundbreaking agreement, focusing on the relationship between the EU and the US and how a TTIP could benefit both markets and specific industry groups by reducing trade barriers for goods, services, investment and public procurement. Panelists will also discuss the strategic opportunity presented by a TTIP agreement and how the removal of non-tariff barriers and the compatibility of regulations and standards on both continents could benefit various industry and service sectors. Hotly debated issues within the TTIP negotiations, such as transparency and privacy and data protection will also be covered. The Ministry of Economy of Romania, The Romanian-American Chamber of Commerce and the Consulate General of Romania in New York, Trade Office, have the pleasure to invite you to participate to the “Romanian – American Business Roundtable" on September 11, 3:30 PM-5:30 PM, held at the Romanian-American Chamber of Commerce in New York, Herzfeld & Rubin, P.C., 125 Broad Street, New York. 5th annual tennis tournament organized in cooperation with U.S. based Romanian Organizations including the Romanian Medical Society, Dorul, Dacia Revival. Broaden your social network, burn calories, enjoy a lunch with romanian food, romanian music and be part of a welcoming group of people with different background and affiliations. The NET format is designed to allow players of different abilities to play while advancing toward players of similar ability. The format uses a series of round robin tournaments to determine first through 4 places. For additional informations and for registrations please contact us. Spouses and children are welcome and encouraged. It's a family event. For the fourth consecutive year, the members of the international business community have joined forces to host a business networking reception with the Mayor of Philadelphia, Michael A. Nutter. Philadelphia is an international city on the cutting edge of economic and business development. 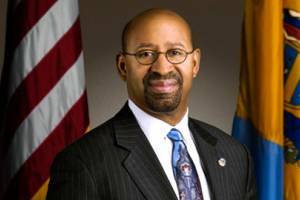 Encouraging new investment and commercial trade interaction between Philadelphia and the rest of the world is a priority for Mayor Michael Nutter. 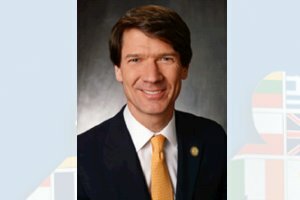 On the evening of July 23, join hundreds of your business peers as Mayor Nutter shares his plans and efforts to keep Philadelphia as a top US destination for foreign direct investment and commercial trade. For sponsorship opportunities, or to learn more about this program, please contact Ricardo Maldonado at 215-790-3627 or ricardo@greaterphilachamber.com. Mr. Ken Adams, Commissioner of New York State Department of Economic Development, will discuss what the State of New York can do to incentivize European business investments. invites you to join the local members for our non-sponsored networking event on Wednesday, June 18, 2014. The event will be a great opportunity for you to explore and expand your network. Attendance is free! To register please email ramona_bejan@post.harvard.edu See you on June 18th! 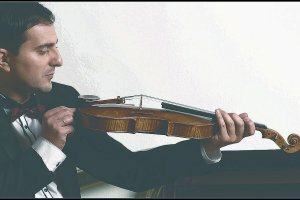 EACC Event: "A Stradivari for the People"
Maestro Fedeli will play the priceless 1715 Bazzini violin, made by Antonio Stradivari himself. Wednesday, June 4, 2014, 6:00 PM - 7:30 PM, followed by a reception. Recent events in Crimea and Eastern Ukraine have raised an array of challenging issues related to self-determination, secession, international intervention, and annexation. Our panel will explore the legal and policy implications of these issues, and will include presentations from a diverse group of experienced diplomats, lawyers, and scholars on the roots of the unfolding crisis and the way forward. Panelists: Ambassador Yuriy Sergeyev, Permanent Representative of Ukraine to the United Nations; Christopher J. Borgen, Associate Dean for International Studies and Professor of Law, St. John's University School of Law. The panel will be introduced by Bettina B. Plevan, Proskauer Rose LLP; Chair, Council on International Affairs and moderated by Mark A. Meyer, Honorary Consul of the Republic of Moldova in New York; Herzfeld & Rubin, P.C. There is no charge for this program; please sign in to register. A special thank you to our EACC sponsors! European-American Chamber of Commerce Ambassadorial Briefing with João Vale de Almeida EU Ambassador to the US "TTIP and the Future of the EU-US Partnership" Join colleagues from the European Chambers as we welcome Ambassador Almeida, EU Ambassador to the United States. He is well placed to speak to the strengths of the ongoing Transatlantic Trade and Investment Partnership (TTIP) free trade negotiations. His diverse experience includes: Representing the EU in the Treaty of Lisbon negotiations Involvement in several G8 and G20 Summits Serving as Chief of Staff for The European Commission President Series Co-Sponsor: Date: February 20th, 2014 Time: 8:00am - 9:30pm Location: Hearst Tower 300 West 57th Street At 8th Avenue Attendance Fees: EACC Members: $50 Guests: $75 A BritishAmerican Business program in association with The European-American Chamber of Commerce BritishAmerican Business • U.S.-Austrian Chamber of Commerce • Belgian-American Chamber of Commerce • Finnish American Chamber of Commerce • French-American Chamber of Commerce • German American Chamber of Commerce • The Ireland Chamber-United States • Italy-America Chamber of Commerce • Luxembourg-American Chamber of Commerce • Portugal-U.S. Chamber of Commerce • Romanian-American Chamber of Commerce • Spain-U.S. Chamber of Commerce • Swedish-American Chamber of Commerce • Swiss American Chamber of Commerce BritishAmerican Business operates a policy of advance payment. All registrations for fee-paying guests will need to be guaranteed with a credit or debit card at the time of booking. There will be no refunds for cancellations or no-shows. Presented by: Grzegorz Konieczny, CEO Romania, Executive Vice President, Portfolio manager Franklin Templeton Investment Management LTD UK. Mr. Konieczny joined the Franklin Templeton organization in 1995 and has over 19 years of experience in investment and portfolio management. Prior to joining Templeton, Mr. Konieczny was director of Capital Market Transactions at Bank Gdanski SA, one of the largest financial institutions in Poland at the time. No fee for members. A group of RACC-Phila members will participate at the Saturday concert. Come introduce yourself @7pm - the group will gather at Kimmel/Verizon Hall by the ticket office. Philadelphia Orchestra Radu Lupu Joins Yannick Yannick Nézet-Séguin, Conductor Radu Lupu, Piano Verizon Hall Thursday, January 308pm Friday, January 312pm Saturday, February 18pm Smetana "The Moldau," from Má vlast Bartók Piano Concerto No. 3 Dvorák Symphony No. 6 This program featuring legendary Romanian pianist Radu Lupu is a journey to Eastern Europe—Hungary and the Czech Republic. Smetana's 'The Moldau,' from his larger collection of works called My Homeland, uses native folk tunes to depict two small streams building in strength and combining into the mighty Bohemian river. Dvorák's Sixth Symphony was his fi rst major hit. Like in his other symphonies, Dvorák also uses Bohemian folk melodies to craft a traditional Germanic-style symphony. Bartók's Piano Concerto No. 3, with a neo-classical fl air, was intended as a birthday gift for his wife. It was left incomplete upon his death in 1945. Philadelphia Orchestra violist Tibor Serly completed the orchestration of the final 17 measures prior to the world premiere in 1946 with then Music Director Eugene Ormandy, pianist György Sándor, and The Philadelphia Orchestra. 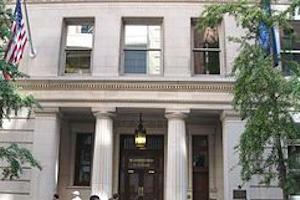 The Harvard Club, 27 W 44th Street, New York, NY 10036 at 6:30 PM SAVE THE DATE. Holiday Networking Reception "From Reiss with Love" Come in out of the cold and join us on trendy Bleecker Street for a networking reception at Reiss. Enjoy holiday cocktails and hors d'oeuvres as you: Mix and mingle with BAB members and guests Receive exclusive discounts on your holiday shopping Enter to win a $500 gift card from Reiss Register Now - Bring a Guest for free! Date: December 12, 2013 Time: 6:00pm - 8:00pm Location: Reiss 309-313 Bleecker St New York Between 7th Ave and Grove St Closest Subway Stops: Christopher St (PATH, 1), West 4th St (ABCDEFM) Attendance Fees: Members and Guests: Complimentary BritishAmerican Business operates a policy of advance payment. All registrations for fee-paying guests will need to be guaranteed with a credit or debit card at the time of booking. There will be no refunds for cancellations or no-shows. The European-American Chamber of Commerce in the United States, Inc. & The Romanian-American Chamber of Commerce are pleased to announce a European-American Economic Forum The Economic Outlook for 2014 & Beyond: Exploring Current Opportunities and Risks in the Global Market Tuesday, October 29th 8:00 AM - 10:00 AM Registration & Buffet Breakfast: 8:00 AM - 8:30 AM NYU Kimmel Center, Rosenthal Pavillion, 10th Floor 60 Washington Square South Join us on October 29, 2013 for a timely European-American Economic Forum, hosted in collaboration with the European-American Chamber of Commerce in the United States (EACC), Inc. at New York University's Kimmel Center. Four expert panelists will present their views of the main issues, opportunities and risks facing the world economy in 2014 and beyond. Expert panelists include: Kirk H. Edelman President & CEO Siemens Financial Services Stephen Gallagher Chief U.S. Economist Société Générale Philippe Naudin President SDV USA Thomas Pugel Professor of Economics and Vice Dean of the MBA Program NYU Stern School of Business Moderated by Matthew Bishop New York Bureau Chief The Economist EACC Member Price: $40 ~ Non-member Price: $65 ~ Kindly note: Space is limited and will be allocated on a first-come, first-served basis. Prior registration & payment are required in order to ensure attendance. EACC-RACC Fall Networking Event on the World Yacht in New York Harbor. Save the Date. RACC Corporate Council breakfast and roundtable meeting with Romanian Foreign Minister Titus Corlatean during the U.N. General Assembly in New York City. September 23, 2013 at the Permanent Mission of Romania to the United Nations. BY INVITATION ONLY. The Brunch is free and honors the following Distinguished Romanian-Americans from New York: Dr. Napoleon Savescu, Founder of the Dacia Revival International Society / Chairman of the International Congress of Dacology Pr. Prof. Univ. Dr. Theodor Damian / Cristian Pascu, Dorul Society President / Mariana Terra, Editor The Romanian Journal / Dr. Arthur Hazarian, President The Romanian American Doctors Society Republican Mayoral candidate and leading NYC businessman / John Catsimatidis will join us at the Bucharest Restaurant to give out the awards. Please note that the RACC is a non-partisan, not-for-profit business organization that does not endorse any candidates for office. This is strictly a non-political event at which we are pleased to have one of New York's most renown business leaders attending. 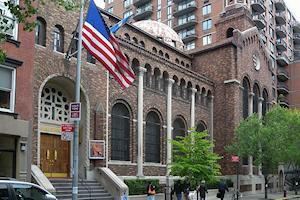 Enjoy a free brunch and honor Romanian-American Community Leaders. This initiative represents a joint event of the European-American Chamber of Commerce in the United States, Inc., the largest transatlantic business network representing 16 bilateral European-American business organizations and a collective membership of more than 25,000 companies -- which includes the Romanian-American Chamber of Commerce. In February 2013, U.S. President Barack Obama, European Council President Herman van Rompuy and European Commission President José Manuel Barroso issued a statement announcing the launch of negotiations for a Transatlantic Trade and Investment Partnership (TTIP). They emphasized the importance of such partnership, stating that "the transatlantic economic relationship is already the world's largest, accounting for half of global economic output and nearly one trillion dollars in goods and services trade, and supporting millions of jobs on both sides of the Atlantic." 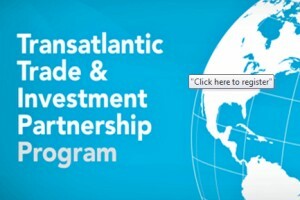 Given the existing weight and critical importance of the transatlantic economic relationship, this partnership will further promote transatlantic trade and investment, and will inevitably impact global trade policy. Join us for a panel that will address the TTIP and its impact on business both in Europe and in the United States. Industry representatives and economists will be present to offer their insights and answer your questions. Panelists: Marc Carletti, Vice President for Global Banking, British Telecom Group, Berend Diekmann, Head of Division for External Economic Policy, Federal Ministry of Economics and Technology, Germany Bill Reinsch, President of the National Foreign Trade Council, Washington, DC. Patricia Sherman, VP Governmental Affairs, Siemens Corporation, Washington, DC. More information on the panelist! Admission Members: $45 (applies to members of any of the European-American chambers) Non-members: $75. Please RSVP with the German American Chamber of Commerce, Inc. (GACC) by using its Online Registration or send back the RSVP form by June 14. If you have questions, please contact the GACC at events@gaccny.com or (212) 974-8837. This initiative represents a joint event of the European-American Chamber of Commerce in the United States, Inc., the largest transatlantic business network representing 16 bilateral European-American business organizations and a collective membership of more than 25,000 companies, including the RACC. Peter A. Georgescu, author of “The Constant Choice – An Everyday Journey From Evil Toward Good,” will present his book at a reception and talk at the Romanian Cultural Institute. Refreshments will be served. He is Chairman Emeritus of Young & Rubicam Inc., and served as the company’s Chairman and CEO from 1994 until January 2000. Elected as the company’s eighth CEO in 1994, Mr. Georgescu was the first chairman of Young & Rubicam Inc. born outside of the United States. His career spanned 37 years including top management experience, both in the United States and Europe. His new book is the dramatic story of his journey from a labor camp to becoming Y&R’s CEO. It is a story of bravery and the triumph of good over evil – a constant choice. Mr. Danut Botea is Partner of Tax and Audit service lines at IBS Professional. Mr. Botea’s primary responsibility is to provide solutions to clients so that to help them effectively structure, operate and control their Romanian activities from local tax, accounting and administrative standpoint. Mr. Botea has an extensive experience with over 16 years in audit and tax consultancy from which 14 years as part of Ernst & Young Romania. His main areas of expertise are tax planning, accounting and audit solutions applicable to clients of all sizes and complexity which operate in Romania. Mr. Botea has served clients for their Romanian investments including: Coca Cola, TotalFina Elf, Wrigley, Swedwood (Ikea), Bombardier, Trinity Industries, Cisco Systems, & Lockheed Martin, Mechel Group, Sanofi Aventis, Zentiva, Connex Mobile. Mr. Botea is Romanian CPA and member of the Romanian Professional Bodies of Tax Advisors ,Financial Auditors and Insolvency Practitioners and he graduated ACCA-Glasgow and Internal Auditors Institute-Orlando Florida US. Webinar Chair: Ramona Adelina Bejan, MBA, MPA, RACC-Philadelphia Chapter Chair Time: Wed 5/22/2013, 11:30AM EST To access the meeting, please visit http://herzfeld-rubin.globalmeet.com/RACC . Once you log in as a guest, you will be prompted to enter your phone number (with country code), and the system will dial out to you automatically. If you prefer to dial in manually, please click the “dial in” link on the prompt to find your local access number. The toll free access number in Romania is 0800 801 030. Please use the passcode 5470023039 when prompted. Every spring, members of the European-American Chamber of Commerce in the United States, Inc. gather their members in the heart of Manhattan for a truly international evening. A number of bi-lateral European Chambers of Commerce will be present, including the Austrian, Belgian, British, Finnish, French, German, Greek, Irish, Italian, Luxembourg, Portuguese, Romanian, Spanish and Swiss Chambers. Join us for an evening of networking and mingling, including hors d’oeuvres, buffet dinner, and cocktails. Interested in purchasing a ticket or sponsoring this memorable evening? For further information, please contact us at elias@zerointernational.com. This initiative represents a joint event of the European-American Chamber of Commerce in the United States, Inc., the largest transatlantic business network representing 16 bilateral European-American business organizations and a collective membership of more than 25,000 companies. Taste of Romania - with LIC/Astoria Chamber of Commerce, the Trade and Tourism Council for LIC, OurLIC.com, RVTV. Taste of Romania. A trade, tourism and cultural event to be held at the Bucharest Restaurant in Sunnyside NY in cooperation with the LIC/Astoria Chamber of Commerce, the Trade and Tourism Council for LIC, OurLIC.com, RVTV. Meet with the representative of the SORSTE company, a very well known and established apparel manufacturing company, here in New York to explore possibilities for further expansion. “Fiscal Strategies for Investing in and out of Romania” Presenter: Mr. Danut Botea is Partner of Tax and Audit service lines at IBS Professional. Mr. Botea’s primary responsibility is to provide solutions to clients so that to help them effectively structure, operate and control their Romanian activities from local tax, accounting and administrative standpoint. Mr. Botea has an extensive experience with over 16 years in audit and tax consultancy from which 14 years as part of Ernst & Young Romania. His main areas of expertise are tax planning, accounting and audit solutions applicable to clients of all sizes and complexity which operate in Romania. Mr. Botea has served clients for their Romanian investments including: Coca Cola, TotalFina Elf, Wrigley, Swedwood (Ikea), Bombardier, Trinity Industries, Cisco Systems, & Lockheed Martin, Mechel Group, Sanofi Aventis, Zentiva, Connex Mobile. Mr. Botea is Romanian CPA and member of the Romanian Professional Bodies of Tax Advisors ,Financial Auditors and Insolvency Practitioners and he graduated ACCA-Glasgow and Internal Auditors Institute-Orlando Florida US. Webinar Chair: Ramona Adelina Bejan, MBA, MPA, RACC-Philadelphia Chapter Chair Time: Wed 4/25/2013, 11AM EST To access the meeting, please visit http://herzfeld-rubin.globalmeet.com/RACC. Once you log in as a guest, you will be prompted to enter your phone number (with country code), and the system will dial out to you automatically. If you prefer to dial in manually, please click the “dial in” link on the prompt to find your local access number. The toll free access number in Romania is 0800 801 030. Please use the passcode 5470023039 when prompted. “The group of companies who will take part in the business mission consists from 7 manufacturer brands as follows: "CESIRO” – earthenware manufacture which is now the biggest ceramic tableware manufacturer in EU, “AVRIGU”, “STILL GLASS STIMAS”, “ARTA STICLEI” – glassware manufacturer each with more than 30 years activity traditions producing high quality glass in a wide variety of wares, “B&R GLASS” and “AGD GLASS” are trading companies specialized in glass market, “PRODGLOB” is a glass Christmas wares producers, "VIRGIL MORARU” is a glass mosaic and stained glass manufacturer both laic and religious, well known artist with world wide located creations. MOLDOVAN HAPPY HOUR! Join guest of honor will be Mr. MARK MEYER, Honorary Consul of Moldova for the State New York, and the founder and President of the Moldovan-American Chamber of Commerce (MACC). In the informal and friendly atmosphere he will speak about goals and plans of Honorary Consulate and MACC. Guests order drinks and snacks and take care of their share of the bill (having cash on hand makes it all easier. THURSDAY, April 18, 2013, starting from 6.30pm CINEMA Brasserie, 2E 45th Street (corner of 5th Ave), New York (located a couple of blocks away from Grand Central Station and Bryant Park) Please, RSVP for this event via email or at Facebook event page https://www.facebook.com/events/385450298230690/ For other questions & additional information, contact Evghenia Berzan (evghenia.berzan@gmail.com, 908-787-2128). 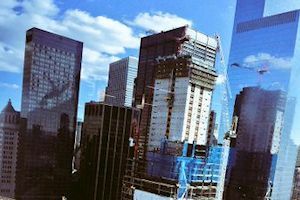 The Consul for Economic Affairs from Romania to New York, Consul Razvan Dumitrescu, has been transferred from the Romanian Consulate in Los Angeles to manage and direct the Economic Mission at the Consulate in New York. 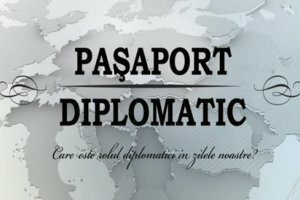 His previous assignment had been with the Romanian Embassy in Washington, DC and with the Romanian Trade Ministry in Bucharest. His expertise and understanding of the issues in trade between the two countries are a unique and very important asset that can guide businesses to success. Consul Gabriel Belkine moved to New York from Vienna, Austria where he served as the Economic Secretary for the local Embassy. NETWORKING & COMEDY NIGHT AT DANGERFIELD'S - FREE ADMISSION! Representatives from manufacturing companies in the Northern part of Romania will be attending the event A). Well known furniture manufacturer is looking for Export and Import opportunities, Investments and Subcontracting. B). Transportation of building materials and equipment is looking for cooperation and subcontracting. C). Distributor of non-food products including cigarettes and coffee is looking for import. D). Others to be listed before the event. Romanian National Day RACC Miami co-sponsor of Gala organized by Mihaela Serban at the Westin Hotel in Fort Lauderdale Mrs. Victoria London, the Honorary Consul of Romania for Florida will be attending. 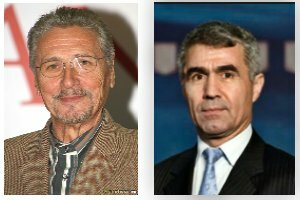 The Gala honors distinguished Romanian-American personalities from Florida. Sixth Annual Gala Holiday Party Celebrarting Romania's National Day Bucharest Restuarant 43-45 40th Street, Sunnyside, Queens, New York 11104 7:00 PM: Cocktail Reception 7:30 PM: Dinner with Artistic Performances and Live Entertainment Business Attire HONORING Hon. Viorel Onel Minister Counselor, Head of Trade & Investment Embassy of Romania Washington, D.C. -and- Zolt Takacs President, Amero-Euro Trading Corp. Member of the the Board of the RACC-NY Chapter. We open the door | You close the deal. We will assist in finding the right business partner for you in Romanian or in the USA. Contact me or any of the NY board members. We are here to help. You are invited. CEENET Inc. The 2nd Annual Central and Eastern European Trade Visit, November 8-9, 2012 Stamford Marriot Hotel and Spa 243 Tresser Boulevard, Stamford, Ct CEENET would like to invite your company to participate in business matching and trade related meetings with Central and Eastern European businesses and representatives. This event helps American and Central and Eastern European companies develop international business ties. 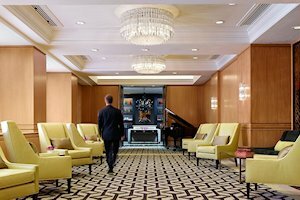 Come and connect with Central and Eastern European businesses interested in building business with companies in the US. See attached for details including registration and fees. Please notify me once you are registered. The Romanian American Chamber of Commerce, in partnership with The Hubb Bucharest, Cluj Hub, Timisoara Branch of the Romanian Association for Electronics and Software Industry (ARIES-TM), and the Timis Chamber of Commerce, Industry and Agriculture, present GO USA! Roadshow 2012: IS AMERICA OPEN FOR BUSINESS? Overcoming Obstacles to U.S. Entrepreneurship. The event runs from 11/5/2012 until 11/9/2012 in Bucharest, Cluj & Timisoara, Romania. RACC FALL OUTING: PICK-YOUR-OWN PUMPKIN & CORN MAZE! Get into the Fall spirit with the RACC-NY MeetUp group! Pick your own pumpkin and get lost in a 3-acre interactive corn maze! Enjoy wandering through planting fields to find and pick your favorite pumpkin. Price of pumpkin is based on pumpkin size. The corn maze adventure begins with a stalk talk to prepare you for the challenge of finding clues, solving puzzles, and making your way out of the maze. We plan to hold a team competition to see which team can complete the maze first. Admission for the maze is $9.00 per person (if we have a group of 10 or more, we can get a $1.00 discount per person). This event is the perfect way to get together with members of the RACC-NY MeetUp group and to network with Romanian and American business professionals and executives, business owners and entrepreneurs from a diverse group of industries. Join the RACC & MACC's Dinner Inaugurating Moldova's Honorary Consulate in New York with the many of the Consuls General based in New York on September 6, 2012 at 7 PM at the Bucharest Restaurant in Sunnyside, Queens. Enjoy Moldovan food served at one of New York's best Eastern European restaurants. RACC Spring Fling: Fondue & Networking Party! Flickering candles highlight the exposed-brick walls and sprawling chocolate-colored banquettes that line Honey's interior, pairing fire-stoked fondue with an equally smoldering ambiance. Bubbling vats of chocolate and savory cheese blends beckon! 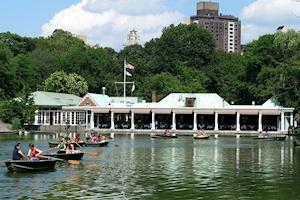 / Central Park Boat House, Central Park near 72nd Street New York, N.Y. Description: In speaker's opinion, the current public education system hasn't really transformed 22 years after the fall of the Berlin Wall. The webinar argues that Romania now should seize the third major historical transformation of its public education system in 130 years of country's modern history and illustrates the argument with three major projects that speaker is currently involved in. 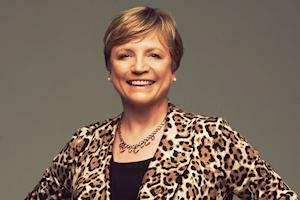 Bio speaker: Marian Stas is an dynamic entrepreneur in both the public and nonprofit arena in Romania delivering consultant services in the areas of education, negotiation and conflict resolution, teambuilding, leadership, change management. He has collaborated with a variety of clients such as The Agency for Governmental Strategies, E.ON Energy ORACLE, SoftWIN, Radiocom, Ursus, Unilever. Some of his main projects are ORIZONT-2025 (foresight workshops in support of the national strategy for sustainable development (under the auspices of the Romanian Presidential Administration); LEADERS FOR THE THIRD MILLENNIUM (youth leadership program of non-formal education); SCOALA PE BUNE / SCHOOL FOR REAL - the transformation of the School system in Romania; Introducing IB programs in the Romanian public school system; KNOWLEDGE-BASED ECONOMY (professional training for IT administrators and managers of the local community networks); PROFESSORIA – BETTER TEACHERS FOR OUR CHILDREN (inter-university collegial competition to design and implement master’s degree programs (in partnership with Dinu Patriciu Foundation); ORGANIZATIONAL CULTURE AND LEADERSHIP IMPACT IN THE PRE-UNIVERSITY SCHOOL SYSTEM – PILOT-PROJECT IN BUCHAREST (in partnership with I.S.M.B.). Mr. Stas has a Ph.D. degree in software reliability from Technical Military Academy and an MPA degree from Harvard University, John F. Kennedy School of Government. Description: Social Media has been booming in Romania in the last four years – in an online population of approx 9 Million online users (out of a total population of 19M inhabitants), over 4M are on Facebook, 3M are reading blogs everyday and a few hundred thousands are on Twitter. Companies started to invest in these new channels to tighten their relationships with online communities, receive feedback and promote their products and services. At this moment the social media market as a sales channel is still maturing, but now is the time to invest in collaboration with social media and online influencers to be able to capture the hearts and minds of online users. In this webinar we will discuss about key success factors and strategies that worked in Romanian Social Media Market. Bio: Tudor Galos has been working for over 10 years in the IT&C industry in several local and regional Marketing & Business roles, and for the last four years he has been active in the Social Media Community in Romania, engaging with top influencers and companies in successful initiatives in the online space. The April mixer will to be held at Max Brenner, a famous eatery between 13th and 14th Streets in Manhattan that features CHOCOLATE! There are actually pipes that run throughout the restaurant with liquid chocolate flowing through them. Of course, there is regular food on the menu available for purchase, but their desserts are incredible! For more info about Max Brenner, see http://shop.maxbrenner.com/storelocation/index/edit/id/3/ Get together with members of the Romanian American Chamber of Commerce - NY Chapter MeetUp group for our next monthly networking mixer. Attendance is free! Meet business professionals and executives, business owners and entrepreneurs from a diverse group of industries. Network and interact with members. Or, simply kick back and relax. The RACC-NY MeetUp Group is the perfect way for you to network with Romanian and American business professionals, promote yourself, explore business opportunities and form strategic partnerships with successful entrepreneurs and business owners. Get a pocket full of business cards, join our events, and get a stack of new connections. Whether you're in hospitality, education, sales, technology, finance, retail, marketing or any industry, the RACC-NY MeetUp Group can jump-start your career network. We are creating a business/professional membership community of success-minded Romanians and Americans who are serious about networking, helping others and transacting business. Society Billiards and Bar, New York (http://societybilliards.com/) Price: $25.00/per person (you can pay upon arrival at the venue) Space is limited! Once we have filled all available spots, you may still RSVP until 5:00 pm on March 22 (your name will be placed on a waiting list). We will move names of those who wish to play from the waiting list to the confirmed list on a first come, first served basis in groups of six [i.e., six players per table]). If you join us to network only and do not play, your name will be placed/remain on the waiting list. Admission is free for those who network only and do not play. Either way, feel free to join us! To attend the meetup, RSVP at www.meetup.com/raccny/ (if you are not already a member of MeetUp, you will need to join before you submit your RSVP, but don't worry - membership is free and easy!). The RACC-NY MeetUp Group is the perfect way for you to network with Romanian and American business professionals, promote yourself, explore business opportunities and form strategic partnerships with successful entrepreneurs and business owners. Get a pocket full of business cards, join our events, and get a stack of new connections. Whether you're in hospitality, education, sales, technology, finance, retail, marketing or any industry, the RACC-NY MeetUp Group can jump-start your career network. AN UPDATE: POLITICAL AND BUSINESS ENVIROMENT IN ROMANIA. A Discussion with Senator Mircea Geoana, Former president to the Romanian Senate and former candidate for President of Romania. Senator Geoana is a member of the Romanian Senate, and its former President from 2008 until 2011. He was a candidate for President of Romania losing in a very close election. Senator Geoana served as the Romanian Ambassador to the United States from 1996-2000. At the time, he was the youngest Ambassador in Romania's diplomatic corps. 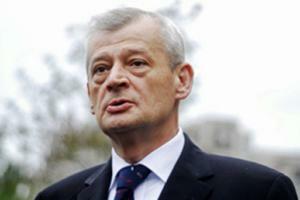 In 2001 he was elected as the Chairman of the Organization for Security and Co-operation in Europe. He was Romania's Foreign Minister from 2000-2004. He is also the president of the Aspen Institute since 2006. SPEAKER: Mr. Mark Meyer - Speaker Bio: National Chairman of the Romanian-American Chamber of Commerce and member of the law firm of Herzfeld & Rubin in New York and Rubin Meyer Doru & Trandafir in Bucharest; Adjunct Professor of Law at St. John’s University School of Law in New York City where he teaches “Transactions in Emerging Markets”. Mark Meyer has been a special advisor for legal and economic matters to six European heads of state including the Presidents of Romania, the Republic of Moldova and the Republic of Montenegro. In 2004, the President of Romania decorated Mr. Meyer with Romania’s National Order of Merit in the Rank of Commander. In 2006, the President of the Republic of Moldova bestowed upon Mr. Meyer the Republic of Moldova’s highest civilian decoration, the Medal of Civic Merit. He is a Harvard Law School graduate and has an honorary Doctor of Humane Letters degree from Fairleigh Dickinson University awarded in 2011and a Doctor of Laws, honoris causa, from St. John’s University School of Law conferred in 2007. SYNOPSIS: The challenges of opening and managing an international business in Romania are explored including issues from where to locate and how to staff it, to dealing with corruption, getting paid, and understanding Romania’s unique business culture and customs. SPEAKER: Ms. Svetlana Schreiber & Mr. Ivan Gilbert - Speakers Bios: o Mrs. Svetlana Schreiber: Attorney and President of Svetlana Schreiber & Assoc., Co. LPA, an immigration law firm handling family and employment based immigration cases throughout the US, with affiliate offices in Toronto, Bucharest, and Tel Aviv; Cleveland Chapter Chair for the Romanian-American Chamber of Commerce and trustee of CORA. She is licensed in New York and Ohio and a member of the American Immigration Lawyers’ Association; with a J.D. degree from John Marshall Law School at Cleveland State University, MA from Kent State University and BA from Douglas College, Rutgers University. Ms. Schreiber's 30 years experience practicing law includes deportation and removal cases and consular work both in Tel Aviv and Bucharest. She is fluent in Romanian. o Mr. Ivan Gilbert: Associate in Wuersch & Gering LLP’s Immigration Practice group; Chair of the Business Development & Commercial Exchange Council and on the board of directors of the New York chapter of the Romanian-American Chamber of Commerce; extensive experience in employment- and family-based immigration law, including trader/investor, professional, intracompany transferee, NAFTA and extraordinary ability-based visa and labor certification matters; conducted seminars throughout the world on U.S. immigration topics and nominated as a Best Lawyer in New York by LegalForce Media Publications; with a J.D. degree (Dean’s List) from Concord Law School. SYNOPSIS: Introduction to of all the major types of employment and family-based visas available, with invaluable insights into the advantages and disadvantages, application process, and foreign worker issues. 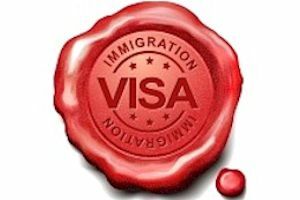 Hone in on the right visa for your situation and learn the steps needed to obtain it. SPEAKER: Mr. Charles Chongo - Speaker Bio: Managing Director and Founder of The Charles Bridge Associates; California Chapter Chair for the Romanian-American Chamber of Commerce; international tax specialist with over 18 years of principally Big 4 experience , between Prague, Czech Republic, Bucharest, Romania, New York, New York, Silicon Valley USA and San Francisco, focusing on US and foreign international taxation matters, including tax planning for clients of all sizes and complexity, both privately owned and publicly traded, with respect to mergers, acquisitions, and restructurings; expertise with the complex US Passive Foreign Investment Company rules; recognized specialist in employment and executive expatriation and secondment structuring. - SYNOPSIS: The presentation will present an overview of US & Romanian tax and general legal matters associated with getting your cash out of Romania. We will focus on the US taxation of the receipt of cash from Romania and Romanian cross border withholding tax implications. We will provide an overview of several US cash repatriation planning ideas to bring money home in a cost effective manner. Celebrate Romania Join us for Speed Networking. A fun and effective way to meet business people, share business ideas and increase your career network. SPECIAL GUEST EMCEE David Dwyer, former DJ at WCTO CAT Country (96 FM) in Allentown, PA and WMVB Sports Talk Radio (1440 AM) in Millville, NJ, will host the festivities. 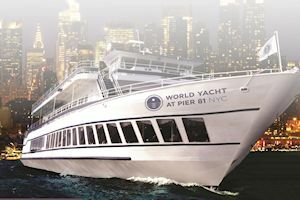 Cruise the Hudson River on the World Yacht with 400 European-American professionals. Competing in a Global Economy - the Challenges for Europe and the US Luncheon at the Harvard Club on September 8th with Joaquín Almunia, Vice-President of the European Commission as keynote speaker European Commission Vice-President Joaquín Almunia will discuss the latest international developments and the current status of the European-American relations. Joaquín Almunia has been a member of the European Commission since April 2004 and Commissioner for Competition since February 2010. He came to the Commission after a long career in the Spanish Government, holding such positions as Employment and Social Security Minister and General Secretary of the Partido Socialista “PSOE” among others. He has also written several books and academic articles. SPEAKER: Mr. Charles Chongo, CPA, MST - Speaker Bio: Managing Director and Founder of The Charles Bridge Associates; California Chapter Chair for the Romanian-American Chamber of Commerce; international tax specialist with over 18 years of principally Big 4 experience , between Prague, Czech Republic, Bucharest, Romania, New York, New York, Silicon Valley USA and San Francisco, focusing on US and foreign international taxation matters, including tax planning for clients of all sizes and complexity, both privately owned and publicly traded, with respect to mergers, acquisitions, and restructurings; expertise with the complex US Passive Foreign Investment Company rules; recognized specialist in employment and executive expatriation and secondment structuring. SYNOPSIS: The presentation will present an overview of significant US tax matters associated with US persons owning and operating a business in Romania, including US Controlled Foreign Corporation and Subpart F rules, as well as US compliance requirements including Forms 5471, Forms 926, Section 351 Statements, FBARs, etc. Meet Greg Konieczny, Executive Vice-President at Franklin Templeton Investment Management in Bucharest and fund manager of the €4bn Fondul Proprietatea, along with Marius Dan from Franklin Templeton, discuss investment opportunities in Fondul Proprietatea. Fondul Proprietatea was set up by the Romanian Government in December 2005 to indemnify persons whose assets were abusively expropriated by the communist regime, especially in cases when restitution in kind would not be possible, by granting shares in Fondul Proprietatea to the respective persons proportionate to their loss. Fondul Proprietatea is a joint stock company and not a government institution, therefore under the control of the general assembly of shareholders. It is listed on the Bucharest Stock Exchange and is expected to apply for listings on one or more European stock exchanges soon. SPEAKER: Mr. Perry Zizzi - Speaker Bio: Partner at Clifford Chance with over 15 years experience as a business lawyer, focusing on Central and Southeastern European; extensive expertise in real estate (including acquisition, development, leasing), as well as in real estate finance, having advised international corporations, real estate funds and developers, private equity funds, international banks and investment banks on a variety of sophisticated and challenging transactions. SYNOPSIS: The Romanian real estate market has been hit harder than most, but opportunities in all sectors remain. Romania's strategic location and its large population means that it will continue to be "too big to miss" for many investors, certainly in the medium to long term. SPEAKER: Mr. Michael Bulzan - Speaker Bio: Co-owner and Principal of holding company incorporating car sales and service (BMW, Saab, Opel and Chevrolet), lease financing, insurance brokerage, advertising, business consulting and investment management; Duke MBA, Class of 2003. SYNOPSIS: According to official, macro-level statistics about purchasing power in Romania, few retailers would be able to justify investments in business development in this country, at this time. However, the recent dynamics of retail spending and the growth in certain segments (like premium automotive brands) hint at a more complex story. SPEAKER: Mr. Nicolaie Alexandru-Chidesciuc - Speaker Bio: Chief Economist, Research/Financial Markets Department, ING Bank NV; with a Ph.D. in International Finance and CFA charter holder; Board member of the CFA Romania and Vice-president AAFBR (Association of Finance and Banking Analysts from Romania); lecturer at two local Universities. SYNOPSIS: The presentation aims to debate on the current economic situation in Romania and the main issues that the local markets are facing. It will also focus on the economic outlook given its many imbalances and the growth drivers in the following years. The RACC will be holding its 2011 GO! USA Roadshow in Romania, March 21 – 25, 2011, beginning in Bucharest (March 21), and then Constanta (March 22), Brasov (March 23), Sibiu (March 24), and Timisoara (March 25). 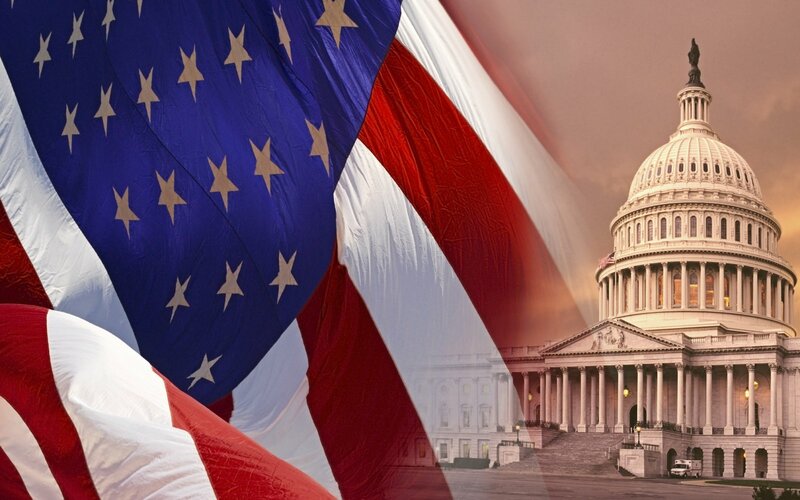 Geared towards Romanian companies, investors, and entrepreneurs interested in gaining access to the U.S. market, the Roadshow will provide participants with a unique opportunity to learn about how to open a U.S. office, begin operations, and distribute products. Respected business professionals with a wealth of knowledge and expertise in their field will discuss such topics as commencing operations, raising capital, U.S visa options, international tax planning, and forms of business ownership. In addition to the learning opportunities, participants will be able to meet with experts, network with other entrepreneurs, and develop an action plan. For more information and a brochure, speaking opportunities, and sponsorships, contact Ivan Gilbert, GO! USA Roadshow 2011 co-chair, at (212) 509-4743. Come celebrate with the Romanian-American Chamber of Commerce™ in welcoming The Florida Orchestra’s guest conductor Mihaela Cesa-Goje, (winner of the 2009 Taki Concordia Conducting Fellowship) appearing in concerts Feb. 18 - 20. CLEVELAND COUNCIL ON WORLD AFFAIR Founded in 1923 to promote world peace, the Cleveland Council on World Affairs is Northeast Ohio’s most prominent organization that provides the public with greater understanding and personal engagement in international relations and global issues. The European-American Chamber of Commerce in the United States Fall Networking Boat Cruise. 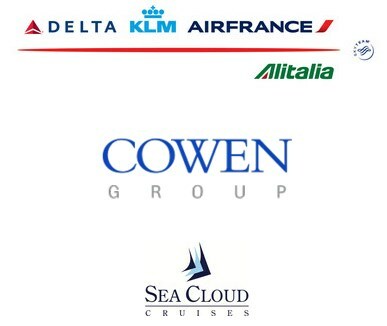 Fourteen EU Member States Chambers of Commerce offer the chance to network on board a Hudson River cruise ship. The 2010 Brooklyn Trade Show is creating countless opportunities by bringing together premier businesses from Brooklyn, NYC, Long Island and the greater metropolitan area with national corporations, entrepreneurs, non-profits, government agencies, business advocacy groups and the media. Be a part of the most dynamic business event in Brooklyn! Network with over 175 exhibitors. Meet more than 1,000 key decision makers and business leaders. Attend business seminars and panel discussions. 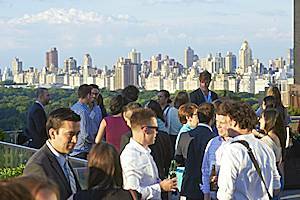 If you can’t make it to the beach, then RACC Members can join our Britsh colleagues at NYC’s largest rooftop bar, 230 Fifth! Join the RACC at an open air Rock Concert at Dracula's Castle. Founded in 2008, Rockin' Transilvania Open Air has been a point of attraction from the start for bands and fans from all over Europe and America. The promoter of the festival, the strictly non profit cultural Rockin' Transilvania Association is financed by public and private sponsoring, and is committed to support the rock music phenomenon for merely idealistic motives. With our international and multilingual staff of volunteers, we take care of artists and visitors in the same enthusiastic, professional and experienced way to make them feel at home at our event in the beautiful Transilvania! Join RACC Member Mike Morris for a visual lecture on his book: American History Revised - 200 Startling Facts. Mike has been a loyal RACC member since 1991 and a long-time investor in Romania. His book is deeply fascinating and his presentation is well worth the experience. Free Concert in Brooklyn at BAM: "Tribute to Elvis"
10th Annual European Chambers Networking Event at the Central Park Boat House. 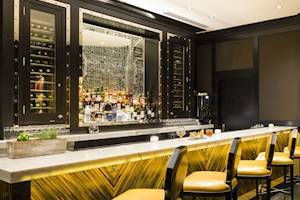 This tremendously successful event is preceded by top-caliber evenings at Brasserie 8 ½, the Whitney Museum of Art and The United Nations Delegates Dining Room. We expect this year’s gathering of some 500 European Chamber of Commerce members and guests will be no less fantastic. The event will be held at The Central Park Boathouse in Manhattan from 6:00 – 9:00 p.m. on Thursday, May 20, 2010 and will include representative organizations from a number of European Chambers of Commerce, including Austria, Belgium, Britain, Finland, France, Germany, Greece, Ireland, Italy, Luxembourg, Portugal, Romania, Spain, Sweden and Switzerland. "An Unimaginable Journey: How Pepsi beat the odds in Romania"
Join Aviad Meitar to launch his book "An Unimaginable Journey: How Pepsi beat the odds in Romania" - his fifteen years of doing business in Romania until 2006 when the business was sold. Today he operates the Pepsi bottler in Bulgaria. You must RSVP by April 14th in order to gain access to the event to: Remonda Grillo at 212-415-9326 (grillo.remonda@dorsey.com). Refreshments will be served. THE LOST WORLD OF OLD EUROPE THE DANUBE VALLEY, 5000-3500 BC, RACC Networking Event. This exhibition has been organized by the ISAW in collaboration with the National History Museum of Romania, the National Museum of Archaeology and History of Moldova and Bulgaria. The spectacular artifacts featured have never been exhibited before in the United States. Over 250 pottery, jewelry and religious objects are on loan from different museums from Romania and Moldova. This multi-day symposium that will bring together leading public intellectuals, scholars, politicians, dissidents and writers from both sides of the Atlantic to assess the global meaning of the 1989 revolutions in Central and Eastern Europe and the world. The President of the Romanian National Institute of Statistics, President Vergil Voineagu will meet with us to discuss the Indicators and Statistics in the Romanian Economy. Professor Voineagu is the author of over 40 books and over 70 published articles. He has been as an exchange scientific professor at universities in NYC, Boston, Washington DC, Cairo, Chisinau, Vienna. 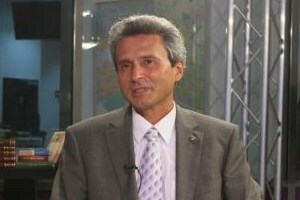 “The Romanian Economy is recovering”, as he recently wrote in the HotNews.ro. Limited to 15 people only. SoNoRo’s Ensemble Raro at Carnegie’s Zankel Hall Ensemble Raro will make its Zankel Hall at Carnegie Hall debut in a concert presented by the SoNoRo Association and the Romanian Cultural Institute in Bucharest. The ensemble - composed of Diana Ketler (Piano), Alexander Sitkovetsky (Violin), Razvan Popovici (Viola), Bernhard Naoki Hedenborg (Cello), and joined by Roxana Constantinescu (Mezzo-Soprano) - will perform works by Schumann, Enescu and Vasks. Ensemble Raro was formed in 2004 by four outstanding young musicians, quickly establishing its place internationally through a creative programming, combining, to critical acclaim, contemporary and classical repertoire, and an innovative approach with the rich European tradition of intimate and genuine chamber music making. For the past four years, Raro has been the ensemble-in-residence at the SoNoRo Festival in Bucharest, one of the most successful and innovative music festivals in Eastern Europe. Join Alan Elsner, a veteran Reuters correspondent and acclaimed novelist, for an evening of questions and answers about his new book "Romance Language." Elsner's novel begins in Romania on the eve of the 1989 revolution and then jumps forward to 2007. 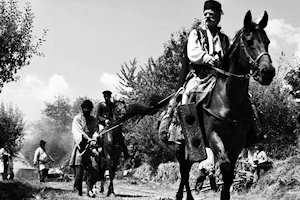 It tells of a passionate love affair between an American journalist and a Romanian poet and contains a meticulous reconstruction of the dramatic events of the revolution. Elsner is also author of "Gates of Injustice: The Crisis in America's Prisons" that was hailed by the late Sen. Edward Kennedy as a "wake-up call for the nation." Alan will read a section of his book, answer questions and sign copies. The Moldovan-American Chamber of Commerce dinner with Moldova's Prime Minister Vlad Filat, Deputy Prime Minister Deputy Prime Minister and Minister of Foreign Affairs Iurie Leanca, and U.S. Ambassador Asif J. Chaudhry by invitation only on January 19, 2010 at 7:00 PM iat the Carlyle Hotel in New York. By Invitation Only. Join former US Ambassador to Romania Jim Rosapepe and his wife, award winning journalist Sheilah Kast, for the launch of their new book - Dracula Is Dead: How Romanians Survived Communism, Ended it, and Emerged since 1989 as the New Italy. You are invited to attend a small private briefing and discussion with Romania's Foreign Minister, H.E. Cristian Diaconescu, H.E. Adrian Vierita, Ambassador of Romania to the United States of America, H.E. Simona Miculescu, Ambassador and Permanent Representative of Romania to the United Nations, and Hon. Nino Pavoni, Consul General of Romania in New York on September 25, 2009 at 11:30 AM at the Mission of Romania to the United Nations, 573-577 Third Avenue at 38th Street. This is an intimate coffee with no more than twenty guests, so your rapid response is highly appreciated. Coffee and light refreshments will be served. Presented by ADI ISRAELI, the DIRECTOR of the NYS Small Business Development Center. In a tight lending environment potential borrowers looking for capital are finding it difficult to secure financing through traditional bank lending sources. The goal of the SBA Recovery Act programs is to restart lending and today SBA backed loans are prices well below traditional loans. Moldovan American Chamber of Commerce, Ministry of Economy and Trade of Moldova, Chamber of Commerce and Industry of the Republic of Moldova, Moldova Investment and Export Promotion Organization, American Chamber of Commerce in Moldova, with the support of the Embassy of the Republic of Moldova to the USA. You are cordially invited to attend a reception and conference with H.E. Igor Dodon, Deputy Prime Minister and Minister of the Economy and Trade of Moldova and eleven CEO’s of major private wine, construction, energy and food processing companies. The main goals of this mission are to introduce significant business projects in Moldova for foreign investment such as the construction of the Giurgiulest International Free Port on the Danube and the Marculesti International Free Airport, and other large infrastructure projects, as well as investment in qualitative agriculture, organic food processing, and specific operations in free economic zones. 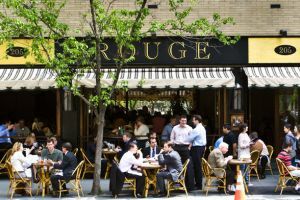 RACC members are cordially invited to the 9th Annual European Networking Event of the European Chambers of Commerce Wednesday, May 20, 2009, 6:30 PM to 9:30 PM, at Brasserie 8 1/2 , 9 West 57th Street, New York, New York. RACC Members: $65; Non-Members/Guests: $95. For more information, contact the RACC below. The Office for Trade and Economic Promotion (OTEP) and the Romanian-American Chamber of Commerce (RACC)-New York Chapter organized on April 22, 2009, an Economic Forum “New opportunities to invest in Romania during the global recession”. The speakers, Mr. Chivel Porumb, Consul, Head of the OTEP, Mr. Dan Weiler, member of the Board of the RACC-New York Chapter and Ms. Simona Ene, representative of the Romanian Tourist Office introduced the representatives of the New York business community to some interesting topics as FDI in Romania, EU funding for new projects, main investment sectors, M&A trends in Romania and specific interest& projects in the tourist industry. The event was honored by the presence of more than a dozen US companies attracted by the Romanian market. The RACC is co-sponsoring a reception for Chief Judge Anton Ivanov, Chief Justice of the Supreme Arbitrazh Court of the Russian Federation (Russian's Supreme Commercial Court) and two other members of the same court. The event will take place at the Court of International Trade, 1 Federal Plaza, 4th Floor, from 4-7 pm on Monday, April 6th. Judge Ivanov will speak at 6 pm. I understand that many of the judges from the US Court of International Trade will be present. Food and drink will be served. The cost is $35 for RACC members. Please RSVP to fmascolo@herzfeld-rubin.com indicating that they are RACC members. Meeting with the leadership responsible for Romania's emergency response and US companies desirous of selling merchandise. The New York Chapter of the American Chamber of Commerce in conjunction with The Yonkers Chamber of Commerce invites you for an evening of fun & networking at the beautiful X2O Xaviar’s on the Hudson. Reception followed by a magnificent gourmet dinner. The "Amor" band will entertain us with European music, including 1980's Rock n' Roll music from Romania and the Republic of Moldova. A multiple lottery drawing will also take place. Tickets are $260.00 for individuals, $500.00 for couples and $2400.00 for a table of 10. The cost of the tickets represents the actual per person cost of the event to the RACC. Places are strictly limited. Black Tie. 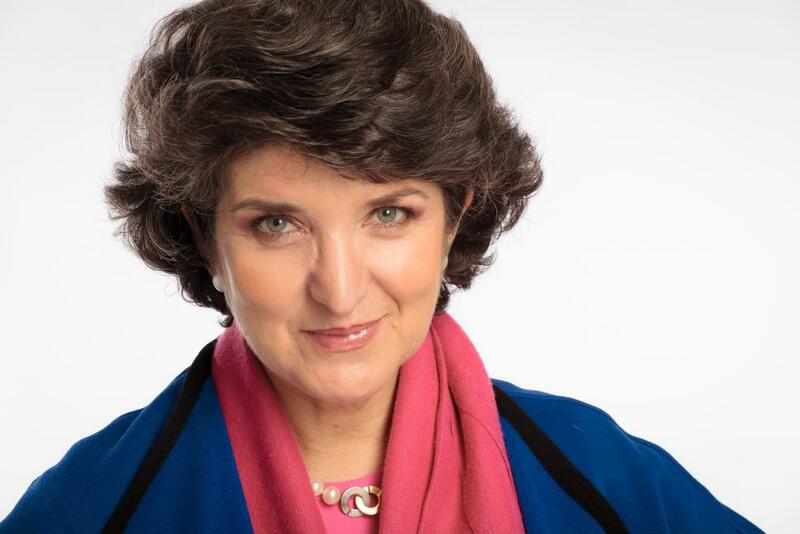 The New York Chapter of The ROMANIAN-AMERICAN CHAMBER OF COMMERCE is pleased to invite you to our next DINNER MEETING with Her Excellency SIMONA-MIRELA MICULESCU, Ambassador of Romania to the United Nations This is the first opportunity for the Romanian American Chamber of Commerce members, supporters and friends to meet with the new ambassador. A panel discussion with executives and the RACC debating business investments in Eastern Europe and Turkey, co-sponsored by the RACC. Exclusive for Corporate Council Members. The New York Chapter of the Romanian-American Chamber of Commerce Cordially Invites you to attend a Business Roundtable with Four of the Seven Members of Romania’s Securities and Exchange Commission Mr. Paul Gabriel Miclaus-Vice President, Mrs. Eugenia Carmen Negoita-Vice President, Mrs. Claudia Catalina Sava-member of the Commission, and Mr. Bogdan Mihai Chetreanu, member of the Commission. This is an exceptional opportunity to explore the benefits provided by Romania’s burgeoning capital markets with the nation’s top regulators. Topics will include opportunities for portfolio investment in various instruments, companies and funds, including Romania’s unique Fondul Proprietatea. The Romanian-American Chamber of Commerce cordially Invites you to Attend a Lunche on Friday, June 20, 2008 at 1 PM in Honor of H.E. Adrian Vierita Romania’s New Ambassador to the United States of America. 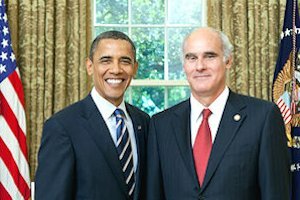 Ambassador Adrian Vierita presented his credentials to the President of the United States on January 22, 2008. Prior to his current assignment, Ambassador Vierita served as State Secretary for European Affairs with the Romanian Ministry of Foreign Affairs, and between 2002 and 2006, he served as Ambassador of Romania to the Federal Republic of Germany. The Forum was a very good opportunity for the participants to get the newest information about Romania's economic performances and its strategic economic partnership with the United States of America. The Forum had a select audience and was a very successful event. Everybody had the chance to listen the excellent opening remarks of Mr. Mark Meyer, President of Romanian-American Chamber of Commerce and of Mr. Lucian Pietro Pavoni, Consul General of Romania in New York. They were, as well, be impressed by the extremely focused speech delivered by Mr. Marius Roman, Deputy Secretary General of the Ministry for Small and Medium-Sized Enterprises, Trade, Tourism and Liberal Professions of Romania, followed by the precise and detailed presentation made by Mr. Valentin Brebenel, Senior Counselor with the same Ministry. It was interesting, vivid, useful and as inviting to dialogue as it could be. Not surprisingly, most of the guests had a good knowledge of the Romanian economy and, besides, a common interest in promoting and improving the Romanian-American trade and investment relations. The event also encompassed an extremely interesting presentation about small business programs, made by Mr. Adi Israeli, Director of the Westchester Small Business Development Center. The Forum was an example of the very smooth cooperation existing between the Office for Economic and Trade Promotion within the Consulate General of Romania in New York and the Romanian-American Chamber of Commerce and its New York Chapter. We take this opportunity to extend to the Chamber our gratitude and appreciation for their kind support. The RACC co-sponsored the New York visit of a U.S./Romanian Ambassadorial Road Show. Conference with Romanian Ministry of Agriculture Delegation in Louisiana. H.E. 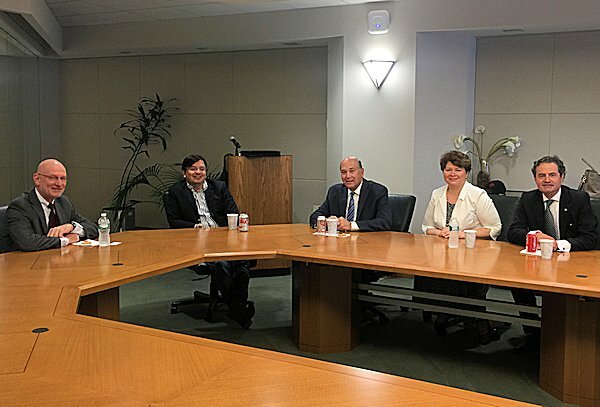 Nicolae Chirtoaca, Ambassador of the Republic of Moldova to the United States, presented a business briefing for members of the MACC and the RACC on opportunities for trade and investment in Moldova. 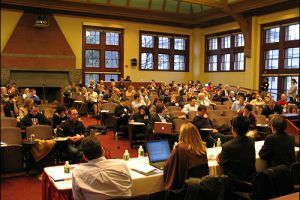 The RACC sponsored a two day major conference in San Francisco chaired by RACC Florida Chapter President Alfred Goldberg and RACC California Chapter President Charles Chongo on April 26-27, 2007 for over a hundred IT executives from the United States and Romania. RACC co-sponsorship of Central and Eastern European Real Estate Conference at Hyatt Regency Hotel in New York. Annual Black Tie Awards Dinner Dance at the Harvard Club. Fifth Web Conference with Ion Iliescu for Corportae Council Members - first as former President of Romania. Luncheon with Minister of Defense, Hon. Teodor Melescanu. The RACC™ offers members direct assistance through its Custom member Services program. In house and outsourced professional services ensure your business needs are met with comprehensive service. RACC™ events and programs give members the venues and opportunity to network and build business contacts. The RACC™ also co-sponsors events and informs members on opportunities best suited to their objectives. RACC™ members are able to participate in special initiatives and programs targeting economic development in specific areas and industries in Romania, such as tourism and technology. The RACC™ listens to its membership about the issues that matter most to their business success, and conducts meetings, programs, and initiatives with key political leaders. RACC™ members participate in our member-led committees, enabling them to directly impact the activities of the chamber and the benefits of their membership. Through RACC™ event sponsorship, program participation, and contribution to publications, members are able to vastly expand visibility for their businesses. RACC™ members receive discounts on RACC™ services, events, publications, as well as events and programs of affiliate groups and organizations. The Romanian-American Chamber of Commerce can be contacted at the address below or by filling out the following contact form. 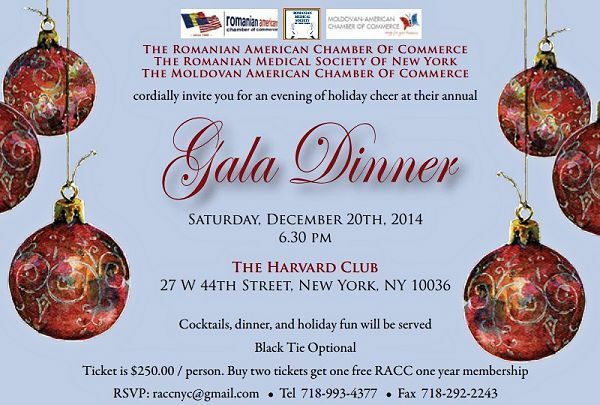 © 2014 The Romanian-American Chamber of Commerce. All Rights Reserved.